Cinema Beef is back in the saddle again. Big pun intended! 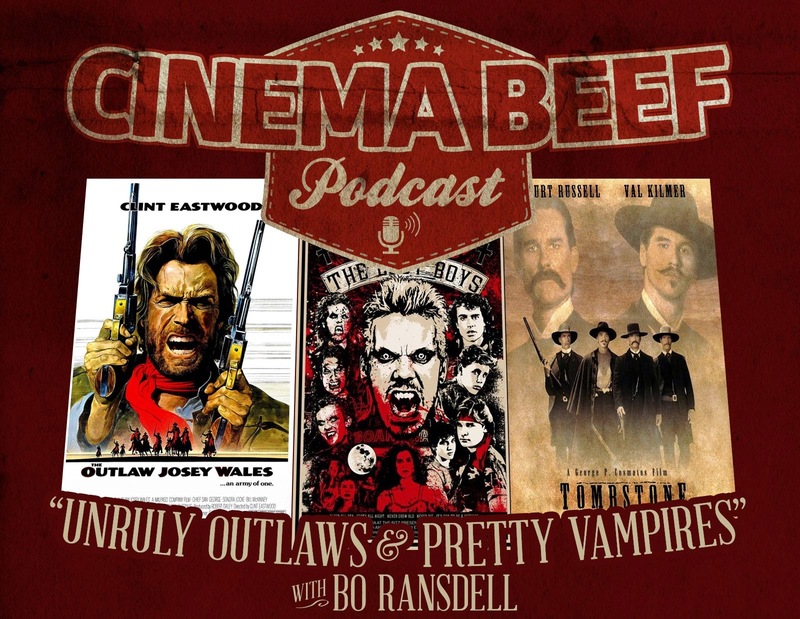 My huckleberry for this episode is Mr. Bo Ransdell of Devour the Podcast and Graveshift Radio, We cover two westerns and in a totally unrelated subject we discuss Bo's hatred for The Lost Boys. The two westerns we cover are the 1976 classic The Outlaw Josey Wales and the modern classic from 1993 Tombstone. Join us in this insanity and saddle up. It might be a bloodbath! Check out Graveshift Radio,Devour the Podcast, this show and tons of others on The League of Extraordinary Podcasts! Cinema Beef is back with a band new show with a new guest all the from Sweden. We welcome to the show Filip Onell. 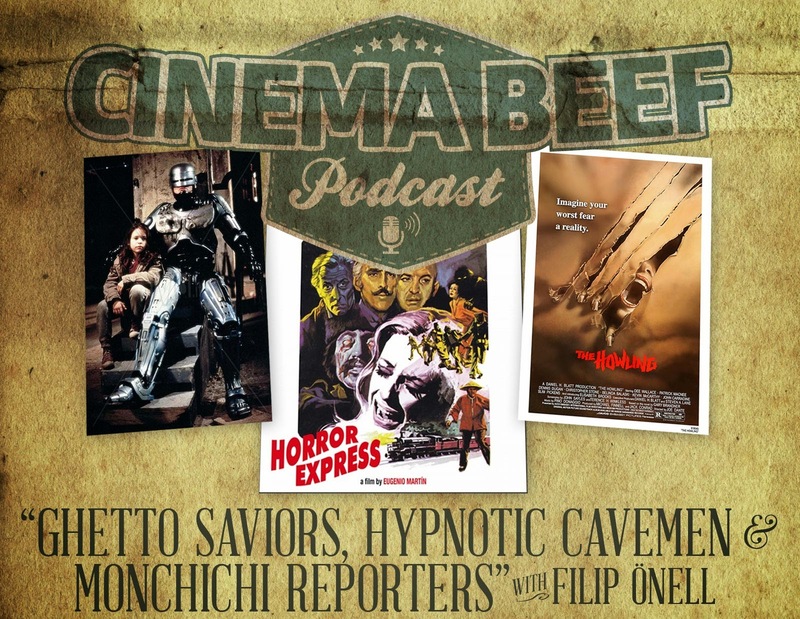 First up, we talk about serial rapists and the dog that lives inside when we review The Howling from 1981. Next, we invade Delta City, bad CG in tow when we discuss Robocop 3 from 1993. Finally, horror icons Christopher Lee and Peter Cushing hit the rails and chase the missing link in Horror Express from 1972. Also, Duncan is back while Filip joins us for the Twilight Zone segment! With these flicks, it could get controversial. Get this show and lots of other great shows at The League of Extraordinary Podcasts! A rocking mess in the making. I am joined by Iris on a show we started all the way back in December. We do three musically inclined films on this one. 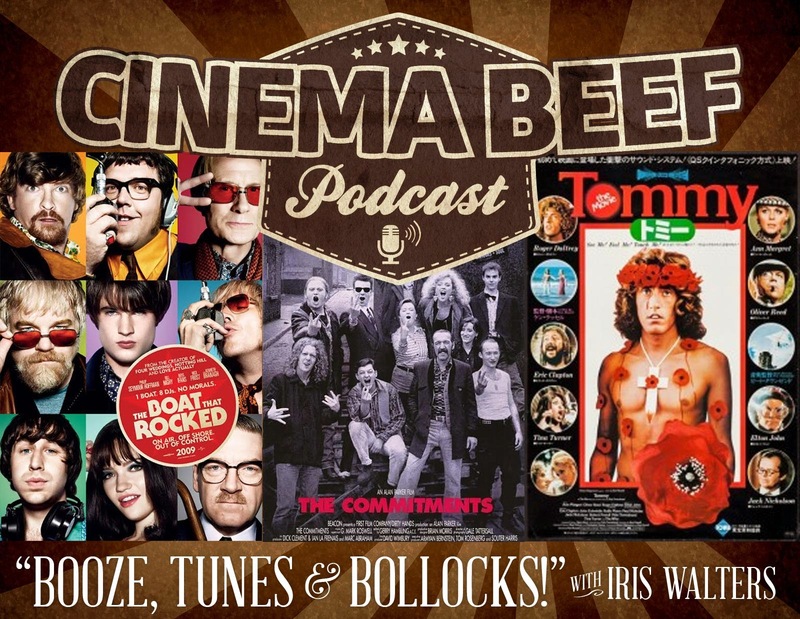 We start with ghetto-centric Irish folks in The Commitments from 1991, Next, we go on an amazing journey with The Who when we discuss Ken Russell's Tommy from 1975. We close with crazy Brits on the boat playing illegal tunes in The Boat That Rocked from 2009. Hope you guys like this one. It was a labor of love on this cursed production. Check out The Movie Fan Attic!